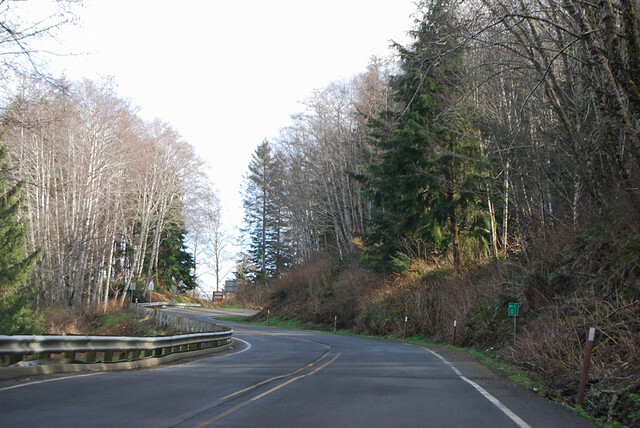 On Sunday, February 20, 2011, I drove the length of Washington State Route 112, the Strait of Juan de Fuca Scenic Byway. 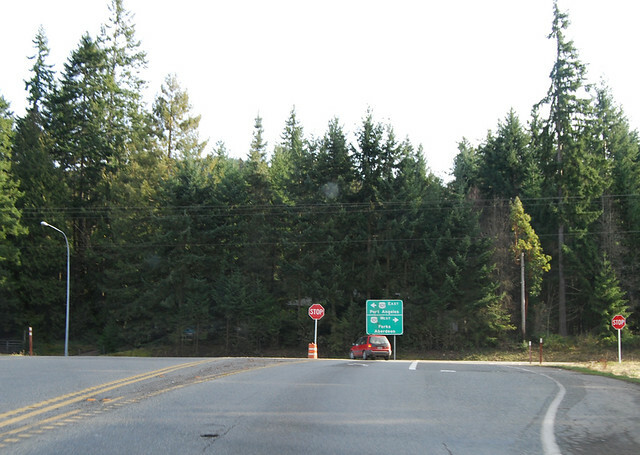 We began our easterly drive all the way out at Cape Flattery, just to get a running start at this highway. 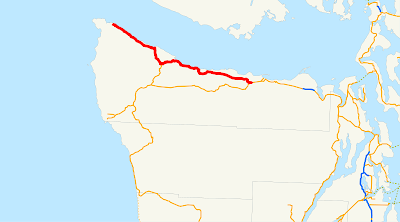 A couple miles outside of Neah Bay, we reached the edge of the Makah Indian Reservation and thus the beginning of State Route 112. A lovely day for a drive. The highway hugs the coastline for the first stretch. Across the water, Canada's snow-capped mountains blanket the horizon. Chunlin enjoyed the view while I focused on driving. 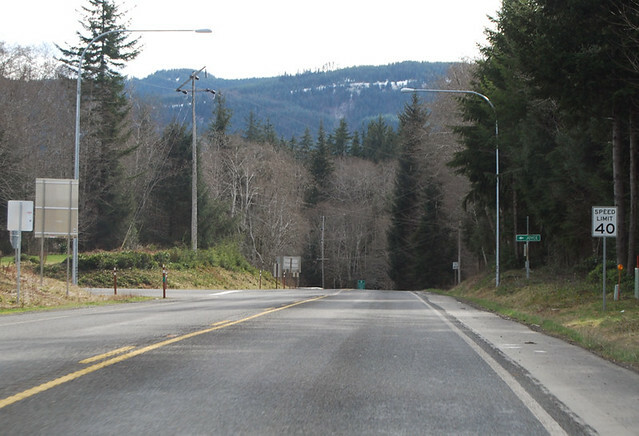 The highway has about 100 curves before we reached the towns of Sekiu and Clallam Bay -- I counted. We stopped for lunch at Clallam Bay and said goodbye to the strait. 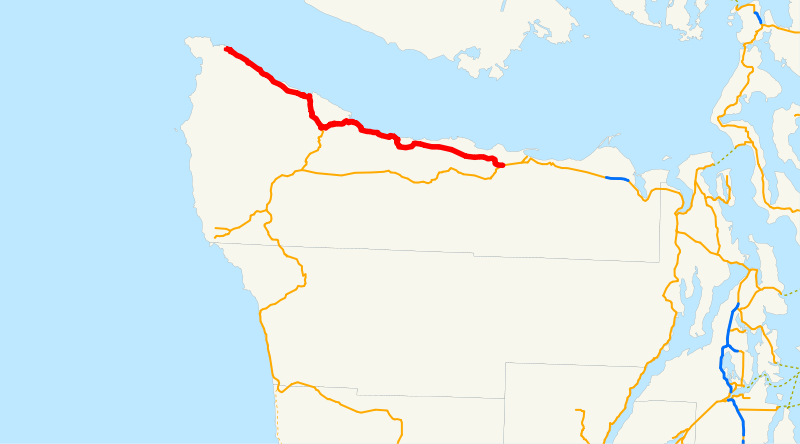 Highway 112 soon turns south and heads inland up the Clallam River and into the Pysht River drainage. At clearcuts, we spy the Olympic Mountains ahead. Soon we reach the junction with SR 113. We must turn left to stay on SR 112. 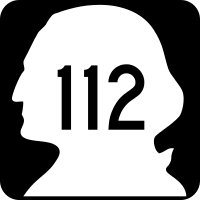 Just so you know, SR 113 and the first half of SR 112 are the Korean War Veterans' Memorial Highway whereas the eastern half of SR 112 is the Vietnam War Veterans' Memorial Highway. As we twisted and turned through the forested hills, Chunlin compared Highway 112 to Highway 20, and not in a favorable way. Not enough views. But we did return to the water's edge after a few miles and I spied Mt. Baker in the distance. Being able to see really big things from really far away is cool, I so declared. Before long, however, the road leaves the coast and continues east, inland. Gradually civilization starts up. Houses, farms, "school bus stop ahead" signs. We pause in Joyce to buy gasoline at the post office & general store. Not long thereafter, we cross the Elwha River and reach US 101 and the end of our drive.